A brief glance at my twitter feed at any point of the day yesterday and someone, somewhere was signing up for Quora. Anxious not to be left behind in the social stampede, I followed the herd. What I found was a nicely designed if fairly unremarkable social utility that feels like the love-child of Twitter and Yahoo Answers, with a bit of Digg DNA thrown in for good measure. I actually quite like it, but so far I’m waiting to be convinced that the information I can get from posting questions on Quora isn’t available from a combination of Google and a bit of social search on Twitter. What did stand out was the sudden surge in interest. It isn’t simply that I move in geeky social circles, a quick look at Google search numbers shows that searches for Quora have increased ten fold since Christmas. I know that no two social sites are the same but it has taken me over three years to amass a meagre 99 Facebook friends. My band of brothers and sisters on Quora hit three digits in a few hours. Something had to be going on. A quick trawl suggests that third-party recommendation from a trusted source is as powerful as it ever was and perhaps more so amongst those eager to discover the ‘next big thing’ in the social sphere. Step forward one Robert Scoble; American blogger at Scobleizer, technical evangelist, author, former technology evangelist and oracle to 156,775 followers on twitter. On Boxing Day he blogged ‘Is Quora the biggest blogging innovation in 10 years?’ effectively endorsing the site as the next big thing. PC Magazine, Techcrunch, TNW and FastCompany were amongst the many media outlets that piled in. Even the UK’s conservative ‘Daily Telegraph’ opined that ‘Quora will be Bigger than Twitter’. Searches for Quora bear out the hypothesis that it all kicked off on Boxing Day. 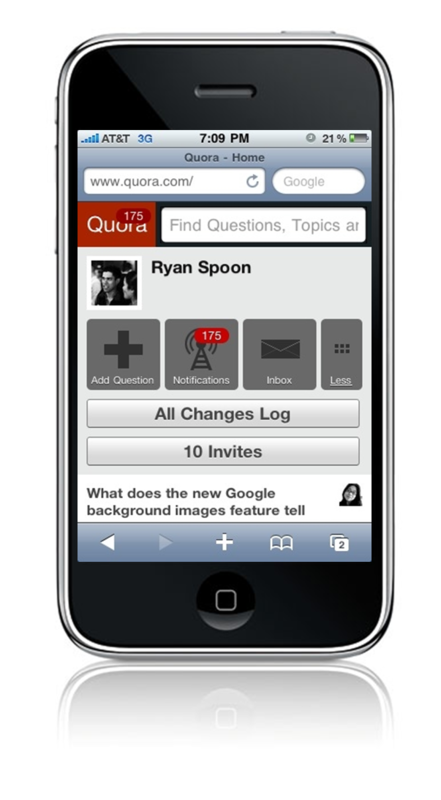 Time will tell as to whether the early adopters stick with Quora and if the current flood of interest is enough for the site to break through in to the social network stratosphere. Bear in mind also that Quora only went public in June. For now it’s all about the hype and proof if proof were needed that if you have something to launch, the right kind of endorsement is still an crucial part of the mix.